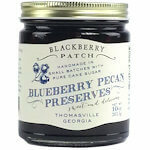 Made in small batches of fresh blueberries, thyme, lemon and cane sugar. 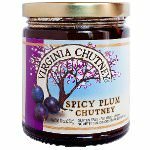 Sweet combinations are also perfect, like ice cream, pie filling, breakfast. You want to serve some hard cheese, like a Gouda, Manchego or a nice cheddar and need a little more than just crackers. 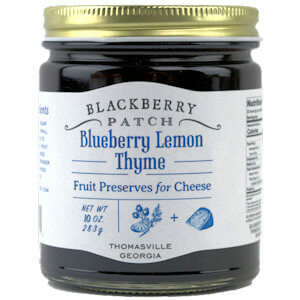 This Blueberry Lemon Thyme Preserve will be a great accompaniment. 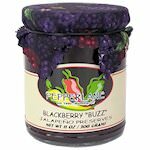 Blackberry Patch was founded in 1988 by farmers in Thomasville, GA and acquired in 1999 by Randy Harvey and Harry T. Jones, a pair of entrepreneurs with more than 40 years of combined business and food industry experience. 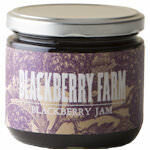 Blackberry Patch harvests local fruits and uses time-honored Southern techniques to make jams, jellies and syrups.